We sure enjoyed being back at farmers market this weekend! What a great first crowd for an early start to the year. It will be a few more weeks before we have anything substantial to sell, but we were happy to be there, none-the-less. 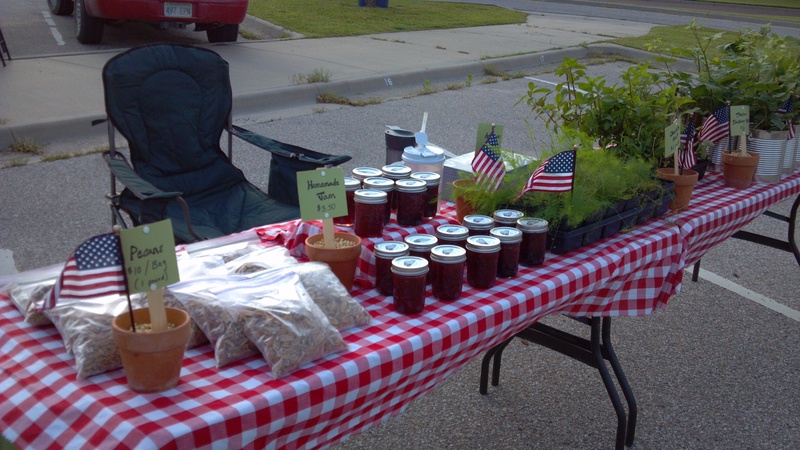 Thornless blackberry plants and homemade jam were popular items. As I was walking out the door to head to market, this sleepy, fuzzy head popped out of a new bee box Gage had just completed on the porch. 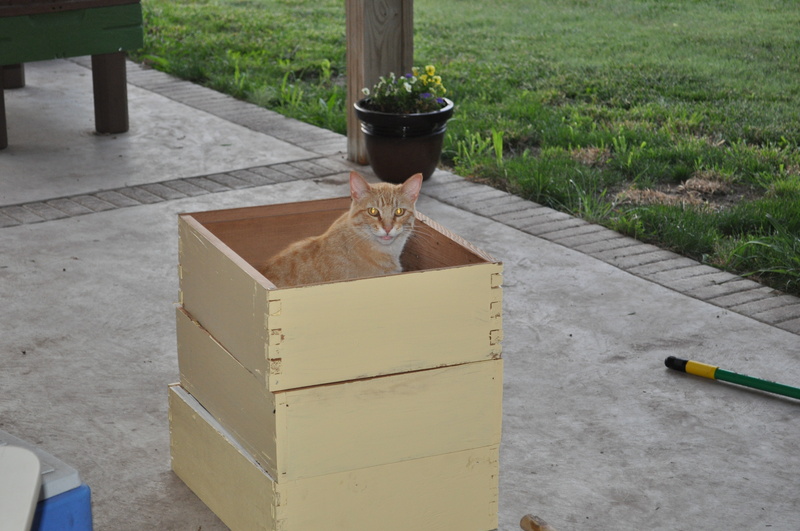 Milo, what will the bees think of their new home smelling like a cat’s bed? ?